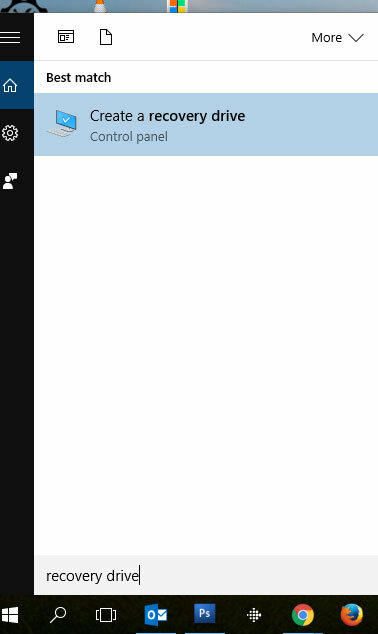 Recently I had a client with a Windows 10 computer that would power on, but it wouldn’t boot all the way into the Windows operating system. Sometimes Windows will run self-diagnosis and repair the problem and reboot. But what if you reboot, and it just keeps coming up to the same error screen? That’s when you need a Windows 10 recovery drive. Of course, the one you might see may not look exactly like that. Especially the error code, since there are lots of different ones. But what this type of error message means is that without some type of repair, the computer won’t be able to boot into the Windows 10 operating system. Unless… unless you have a Windows 10 recovery drive. 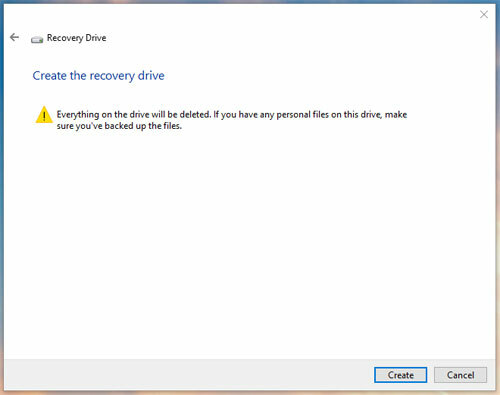 Here’s the catch – if you see that error screen and you haven’t created your recovery drive, it’s too late to create one using this computer (though you could go to a different Windows 10 computer and create one). 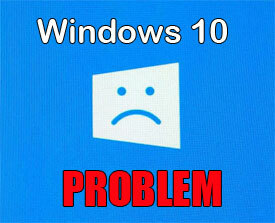 So the best time to create one of these is right now, while your Windows 10 computer is booting up and working properly. A 16 gb flash drive should be plenty big enough (here’s a 16gb flash drive on Amazon). Even 8 gb would probably be okay. That is, unless you’re going to back up the system files from your computer to the flash drive (that might sound complicated but it’s just a matter of checking a box – you’ll see in the process below). If you want to do that, you should probably get a 32 gb flash drive (here’s a 32gb flash drive on Amazon). 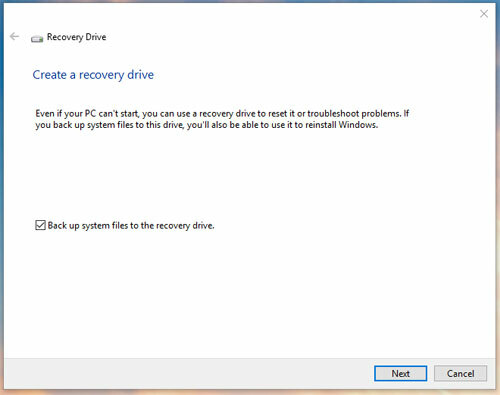 Keep in mind, you may not be creating this recovery drive with plans to use it yourself. You might not know how to get your computer to boot up to a flash drive, and you might not know how to use it once it is booted up. 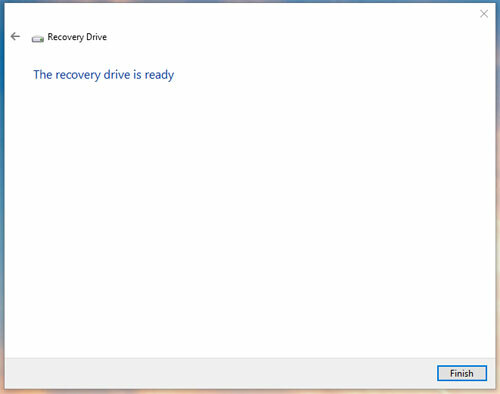 That doesn’t matter – even if you see that error code and have your computer tech come over to fix it, it will be a help to him if you have this recovery drive already created. Or if you have everyone over to your house for Thanksgiving dinner and your computer gives this error message, there’s a chance that one of your family members might know enough about computers to use this recovery drive and solve the problem. 1. 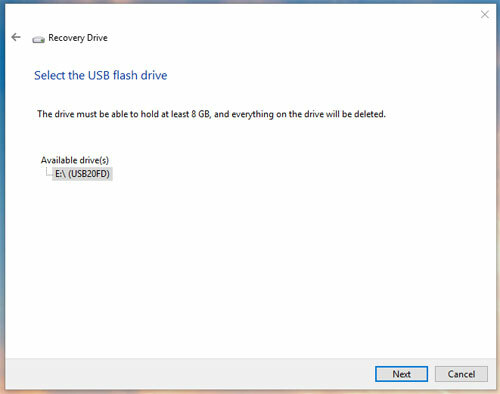 Insert your flash drive into a USB port, and once it is recognized, note what drive letter gets assigned to it (such as drive E, drive F, etc.). 3. 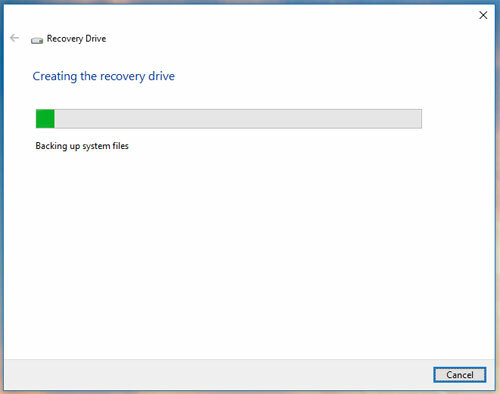 Now you’ll see the window where you’ll actually start the process to create the recovery drive. Either check the box or don’t check it, and click Next. 5. Now it finds the flash drive (and maybe some other drives you might have connected). Choose the flash drive and make sure there’s nothing important on there, because whatever is on there will be wiped out when the recovery drive creation process kicks in. Then click Next. 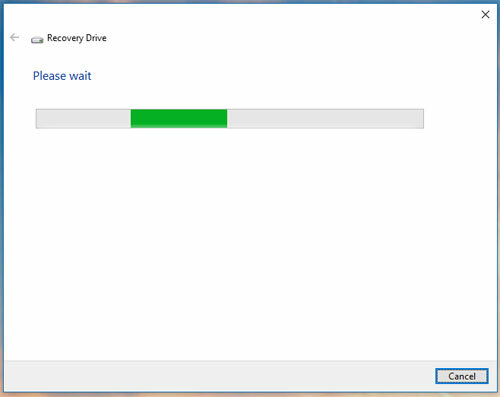 Now just label that drive as “Windows 10 recovery drive” and keep it in a safe place, where you can access it easily. But hopefully you’ll never need it!